That dude is insane! 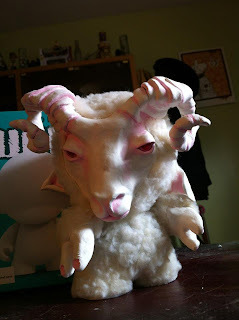 This is a custom Munny figure made by the talented Heather Gargon. You could see this in person on August 4th at Jinxed in Philadelphia at our custom toy show that we put together. We have a really neat mix of people participating, including well known toy artists, fine artists, car customizers, tattoo artists, and even a contestant from America's Next Top Model. 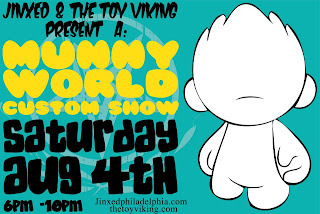 So come on out and see some amazing toys.